All the practical information you need to know about North Era campground. North Era campground is in Royal National Park. 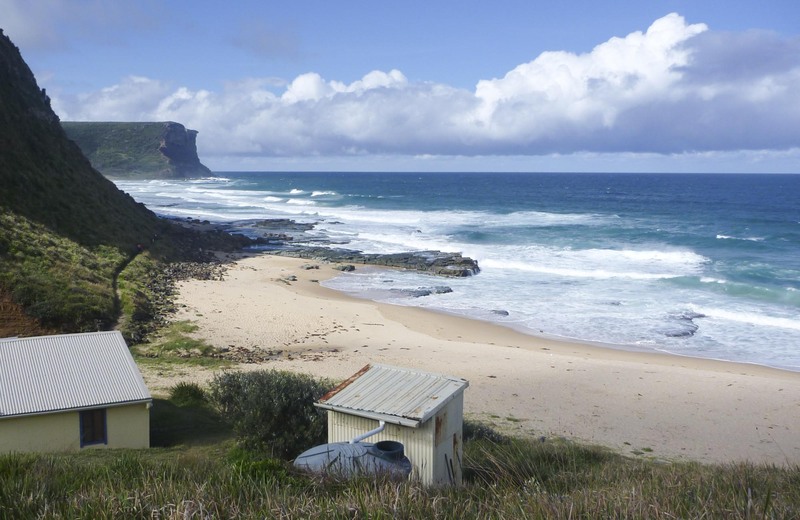 Located on the Coast track behind pretty North Era Beach, North Era campground contains basic bush camping sites. Access to the campground is walk-in only along the Coast track – 1.5hrs from Garie Beach, 5hrs Otford or 7hrs from Bundeena. Please note that although limited parking is available at Garrawarra Farm carpark, it can get extremely busy during peak periods. Follow @RoyalNPAlerts on Twitter for regular, real-time updates on how full the carparks are so that you can make other plans if you need to. Royal National Park covers a wide range of landscapes, from open grassland to ocean-fronting clifftops. It's a good idea to pack clothing suitable for all weather conditions along with water, sunscreen and a map on your visit. Royal National Park shines in all seasons, though summer and winter each offer a few special attractions. Visit the majestic Garie Beach to surf or just relax. The beach is patrolled by surf lifesavers in summer. Plus, the panorama from Garie North Head is just amazing, so be sure to take your camera. The beach at Bundeena's Bonnie Vale is a great swimming spot, as are Jibbon, Wattamolla and Little Marley beaches. If a freshwater swim is more your thing, try Karloo Pool, Deer Pool or Curracurrang. The summer holiday information has important tips to help you plan your day to Royal National Park during the busy holiday period. Winter is a great time to tackle the popular Coast track from Bundeena to Otford. Not only will you be greeted by spectacular coastal scenery, you can also see whales from the cliffs (June to August). Complete the walk in small sections or undertake the entire 26km over two days. Plan a visit during spring to admire the stunning heathland wildflowers on display. Head along the Coast track or the Curra Moors Loop track or walk to Wises track to see them in bloom. North Era is a remote backpack camping area. Campers must carry all of their equipment to the campground and be fully self-sufficient. Sites are unmarked and suitable for tents only. Camping is available for 1 night stays only. Rubbish bins are not available – please take rubbish with you when leaving. Strong rips and currents may be present at North Era Beach. Take care in the water and please supervise children at all times. The Era Surf Life Saving Club patrols South Era Beach on Sundays, public holidays and most Saturday afternoons during the patrol season. Please remember to bring a fuel stove as campfires are not permitted in Royal National Park due to the risk of bushfire.